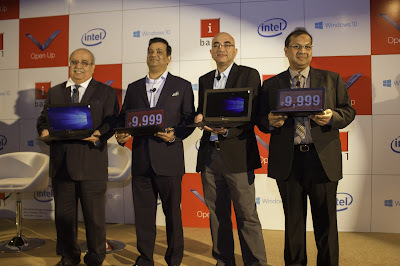 iBall brings a digital revolution with the launch of iBall CompBook laptops in association with Microsoft and Intel. The price for 11.6” or 29.4 cm Excelance is Rs 9,999 & 14” or 35.8 cm Exemplaire is Rs 13,999. Depending on the need, iBall CompBook comes with Windows 10 Home for students and home users. For the business need it comes with Windows 10 Pro having unique features like Domain Join, Bit Locker, Secure Boot, Remote Desktop, and a lot more. The price tag for this is Rs. 19,999 only. iBall CompBook Excelance 11.6” comes in royal blue color while Exmplaire 14” comes in choco color. These are lightweight at the former weights only 1.1 kg while the latter is 1.5 kg. The battery is gigantic 10,000 mAh that promises to provide almost 9 hours of non-stop video/music/work at a stretch without power. That is really a phenomenal feat to deliver such a high-performance battery within this price range. 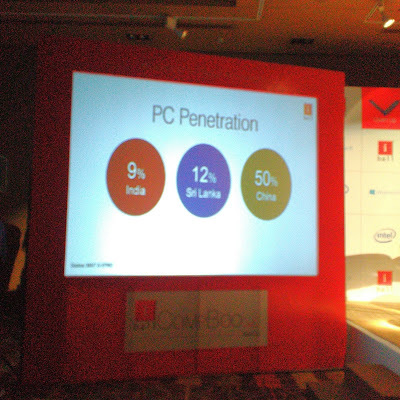 Both the iBall CompBook laptops have Intel Quad Core processor running at a clock speed of up to 1.83 GHz. And you get Windows 10 pre-installed on these laptops. With Intel processor and genuine Microsoft operating system, the deal is perfect in any shape. It is powered with 2GB RAM and 32GB primary or internal storage which can be expanded further up to 64GB with Micro SD slot. iBall CompBook products support external HDD for enhanced storage requirements. It has in-built Wi-Fi, HDMI port, 2 USB ports, and Bluetooth (v4.0) thereby getting you multiple connectivity options. Both laptops have high quality Dual speakers along with single 3.5mm Combo Jack for Heaphone and Mic. You can opt for supplementary and valuable add-ons like Insurance pack that covers accidental damage, theft and Breakage. You can also top it up with additional one-year warranty pack. These are optional but I would recommend to purchase both these packs at the time of purchase of the laptop. In my opinion the deal makes a lot of sense for home user or businesses if you are equipped to do most of your things on cloud. But if your work is local storage hungry then you need to think for external storage options. With the launch of these new range of iBall CompBook laptops that are smart and trendy, light and handy, powerful and most affordable, iBall has broken all the price barriers with this Digital Revolution thereby strengthening Prime Minister Narendra Modi's drive of Digital India Vision.